Christmas came early for the Golden Triangle Seminoles, as they received both of their wishes. The Seminoles wanted a rematch to avenge their second loss of the regular season against the Texas Red Raiders, and they got it. Their second wish was to host the Conference Championship Game, they got that, too. 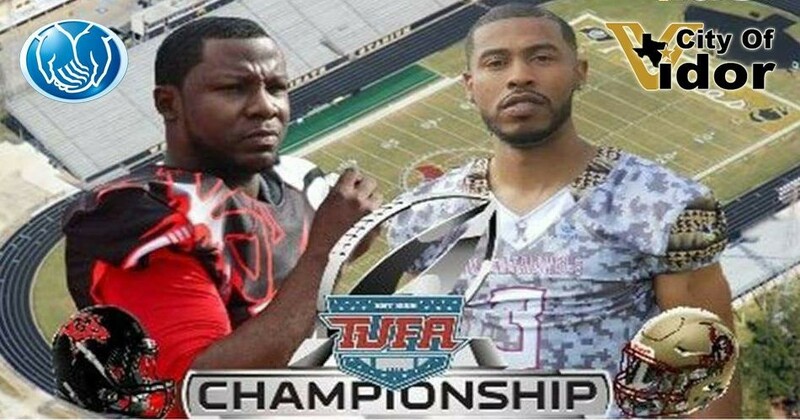 If the Seminoles win and they're on their way to Houston to play in the TUFA Superbowl. Kickoff is set for 5pm this Saturday the 9th at Vidor Pirate Stadium. 1. The team that had the football last, has won the last two meetings. 2. In preseason rankings, these teams were #1 and #2. 3. Both teams won the TUFA Wild Card Games and Divisional Round Game. 4. Both teams were underdogs in the Divisional Rounds. 5. Both teams avenged losses to the teams that beat them in the regular season to advance to the Conference Championship Game.